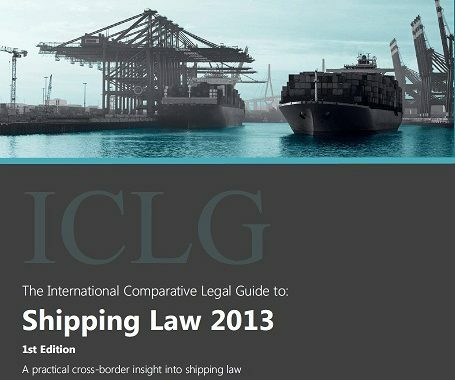 This article was published in edition of The International Comparative Legal Guide to: Shipping Law 2013, published by Global Legal Group Ltd., London. You may download its PDF version. Chapter 3 of Section IX of the Merchant Shipping Code of Ukraine (hereinafter – MSC) governs matters relating to collisions and is based on provisions of the Brussels Convention for the Unification of Certain Rules of Law with respect to Collisions between Vessels 1910. MSC states that Ukrainian legislation shall be applied when a collision occurs on the territory of Ukraine and also in other cases where a collision happens in the high sea and the dispute is considered by a Ukrainian court. However, in the case of a collision between vessels flying the same flag and where no other party interest is concerned – the law of the relevant flag state is applicable. It should be mentioned that Ukraine is the party to the Convention on the International Regulations for Preventing Collisions at Sea, 1972. The rules of Chapter 4 of Section IX of MSC declare the main principles in local regulation of indemnity for pollution damage. This chapter almost reproduces provisions of the International Convention on Civil Liability for Oil Pollution Damage 1969 amended by Protocol 1992 (Ukraine is the party to Convention). However, it is worth mentioning that the above chapter, in contrast to the Convention, deals not only with oil pollution but also other hazardous substances. The following legal acts also may be applicable to accidents involving pollution: the Law of Ukraine “On Environmental Protection”, the International Convention Relating to Intervention on the High Seas in Cases of Oil Pollution Casualties 1969, the Convention on the Prevention of Marine Pollution by Dumping of Wastes and Other Matter 1972, the International Convention for the Prevention of Pollution from Ships 1973, the Convention on the Protection of the Black Sea Against Pollution 1992 and the Criminal code of Ukraine. Ukrainian legislation, contrary to that of many other countries, has certain rates of compensation for pollution damage, depending on kind of pollutants. For example, if pollution was caused by leakage or discharge of oil from a ship, the compensation for damage should be calculated on the basis of USD 329 per one kilogram thereof. 1) The rules of remuneration for salvage at sea contained in Chapter 6 of Section IX of MSC are based on the International Convention on Salvage, 1989 and shall be applied when the dispute resolution is held in Ukraine. However, if the salving and the salved vessels fly the flag of the same state, the law of this state shall apply. Besides, depending on the case, the International Convention on Maritime Search and Rescue 1979 and the Law of Ukraine “On Search and Rescue Service” can be also applied. 2) General average in Ukraine is governed by provisions of Chapter 1 of Section IX of MSC which mainly repeats the York-Antwerp Rules. The procedure of general average adjustment shall be governed by MSC, if such adjustment takes place in Ukraine. MSC is silent on non-separation interest agreements and refers losses caused by environment pollution to general average. Issues regarding wreck removal in Ukraine are mostly governed by Chapter 6 of Section IV of MSC which is applicable to raising, removal or demolition of property that has sunk within territorial waters or the territorial sea of Ukraine and to Ukrainian flagged vessels which have sunk in the high sea. “Sunk property” includes vessels or other floating craft that were involved in an incident where any facilities suitable for sailing, flying apparatuses, their remnants, equipment, cargoes and any other objects, irrespective of the fact whether they are afloat or underwater, sunk or were thrown out to shoal or shore. In case the owner of the property intends to raise it, he shall inform the nearest Ukrainian port thereof within a year of the date that the said property sunk. When sunken property presents an obstacle to merchant shipping, marine works, hydromechanics or other works, or is a threat to human life or health or the environment, the property owner shall immediately notify the nearest port about the incident and, upon the latter’s demand, shall raise or demolish said property in the term indicated by the port. The owner of the sunken property shall lose the title thereto in case he fails to inform the port within one year or raise the said property in the term indicated by the port, in which case the said property shall become state property. Property that is raised by the port may be demanded by its owner within two years of the date of the property is raised. In so doing, the port shall be reimbursed the cost of the raising and other expenditures and losses incurred therewith. The refusal of the owner to claim sunk or raised property does not relieve him from the obligation to reimburse the port all expenses and losses. inflicting damage or losses , in connection with sailing or operation of the vessel, to persons or property not located on board the vessel. Maritime Claims 1976, limitations set in art. 352 of MSC are identical to those mentioned in art. 6 of the Convention. Such limitations are applicable to vessels flying a foreign flag when the law of the flag state foresees limits below those provided for by MSC. Otherwise the relevant law of the flag state should be applied. The above limitations shall not be applied if damage was caused by the ship owner deliberately or presumptuously with a comprehension of the possibility of infliction thereof. The liability of the ship owner for damage to the environment by oil pollution and other pollutants according to art. 308 of MSC shall be limited with respect to one or several occurrences being caused by the same incident. For vessels having a capacity of not more than 5000 units, such liability is limited to 3 million SDR and for the larger vessels another 420 units shall be added for each successive unit of capacity. The same limits are set by the International Convention on Civil Liability for Oil Pollution Damage 1969 amended by Protocol 1992 (Ukraine is the party to Convention), however this Convention, contrary to MSC, deals only with oil pollution and states that limitation of liability should not exceed 59.7 million SDR. When maritime casualty occurs it is usually the Harbour Master who establishes commission to investigate maritime casualties. However, depending on the level of consequences, commission can be set up by the Ministry of Infrastructure, the Ministry of Agricultural Policy, the State Inspection of Ukraine on Safety at Sea and River Transport and the State Fish Inspection. Law enforcement agencies can also be involved if a marine casualty gives rise to criminal liability. The above authorities have a wide range of powers and they may try to take, if necessary, harsh measures like detention of a vessel or a person that is suspected of committing a criminal offence until the end of investigation. Ukraine is not party to either the Hague/Hague-Visby Rules or the Hamburg Rules. However, the main provisions of the Hague-Visby Rules (amended by SDR protocol) are actually implemented in MSC which is the main national law regulating marine cargo claims. According to MSC, a Carrier is the ship owner or charterer who enters into a contract of carriage. As per art. 379 of MSC, in case of damage, shortage or loss of cargo, the Consignee or Shipper has the title to sue the Carrier subject to the presentation of a bill of lading or other shipping document, as the case may be. In case of late delivery, the title to sue belongs to the Consignee. (b) for claims arising from the shortage or damage to cargo, or from late delivery – from the day of cargo delivery or the day when it should have been delivered. The list of grounds for Carrier exemption from liability for cargo damage, shortage or loss is set out in art. 176 of MSC and is almost similar to that which is contained in art. 3 (par 4) of the Hague-Visby Rules but it also includes measures on prevention of environment pollution. It is up to the Carrier to prove the existence of such grounds in case of damage to or loss of cargo. The Carrier is not responsible for cargo shortage if such cargo was delivered in cargo holds, in lighters or containers which are in good order with intact seals of the Shipper or/and in intact tare. Unless the value of such goods have been inserted in the bill of lading, the Carrier shall be liable for any loss or damage to, or in connection with, the goods in an amount exceeding the equivalent of 666.67 SDR of account per package or 2 SDR of account per kilo of gross weight of the goods lost or damaged, whichever is the higher. The Shipper shall be liable to the Carrier for any consequences which arise out of incorrect or incomplete data entered in the bill of lading. As per art.153 of MSC, in case an inflammable, explosive or inherently dangerous cargo has been passed under an incorrect or incomplete description and, during its receipt, the Carrier could not verify its properties by visual inspection, said cargo may be discharged by the Carrier at any time, destroyed or rendered harmless, as the circumstances permit, without reimbursing the incurred losses to the Shipper. The Shipper shall be liable for all losses incurred by the Carrier or by the third parties in connection with a carriage of said cargo. The freight due for carrying said cargo shall not be returned and, if the shipping of said cargo has not been pre-paid, it may be demanded by the Carrier in full. Section V, Chapter 3 of MSC regulates maritime passenger claims and its provisions are mostly based on The Athens Convention relating to the Carriage of Passengers and their Luggage by Sea (PAL) 1974 and Protocol 1976 thereto (Ukraine is a party to the Convention). – in accordance with the contract of carriage, the place of departure or destination is situated within the territory of Ukraine. – for the loss of or damage to the luggage other than that mentioned above – 2,700 SDR of account per passenger, per carriage. The Carrier and/or his servant or agent shall not be entitled to the benefit of the limits of liability prescribed above if it is proved that the damage resulted from an act or omission of the Carrier undertaken with the intent to cause such damage, or recklessly and with knowledge that such damage would probably result. – luggage: from the day when it was delivered or should have been delivered. Section II, Chapter 4 of MSC contains “Arrest of ships” which outlines the main principles of ship arrest procedure. However, this Chapter is almost out of practical use due to art. 14 of MSC which states that rules of this Chapter apply only to ships flying the flag of Ukraine. The International Convention for the unification of certain rules relating to the arrest of sea-going ships, 1952 came into force in Ukraine on 16.05.2012. Though art. 6 of the Convention says that the Contracting State shall establish procedural rules of ships arrest, unfortunately, no significant amendments have been made to Ukrainian procedural legislation since accession to the Convention. The most frequent and practical way to arrest a ship in Ukraine is still to seek the arrest as security for a maritime claim the merits of which are to be considered by the Ukrainian court. The ship to be arrested must be the defendant’s property irrespective of whether the defendant is “guilty” or not. Thus, the arrest of sister ships is feasible. But any attempt for associated ship arrest will fail, as will any attempt to arrest a ship operated by defendant under the demise charter. If arrest is exercised by a civil court, it is up to claimant to decide whether the form and amount of provided security is sufficient for him and whether he will agree to release the vessel against such security. However, the defendant may deposit to the court account the sum alleged by the claimant in his claim, and in this case there is no need to get the claimant’s consent to obtain the court ruling releasing the vessel. If the ship is arrested as per the ruling of commercial court, it is up to the court to decide whether provided security is appropriate to release the vessel. The party seeking security can also apply to a Ukrainian court for a ruling securing its claim merits brought before the court. The court may arrest any assets beneficially owned by the defendant (even if such assets are in the hands of a third party), restrict or oblige the defendant or another party to do certain acts, etc. Attachment should be ratable to alleged claims. The court is allowed to oblige the claimant to provide counter-security, though it is not common. 4.2 Where security is sought from a party other than the vessel owner (or demise charterer) for a maritime claim, including exercise of liens over cargo, what options are available? Art. 164 of MSC grants the Carrier the right of lien on cargo for freight and demurrage. The Carrier retains lien on the cargo if he deposits the cargo to a warehouse not belonging to the Consignee, provided he informs the warehouse owner of such right. The Carrier shall lose lien on the cargo if he passes the cargo to the Consignee. The Carrier shall have the right to sell the cargo being the subject of lien for satisfaction of his claim, after notification of the Shipper, Charterer and Consignee. In order to sell the cargo the Carrier has to apply to the court for the relevant judgment. Taking into consideration that the court may arrest any property which belongs to a defendant as a security for the claim on merits, in theory it is possible to arrest bunker on board the vessel. However, it is rarely used in practice and the claimant will have to do his best to persuade the court in the need of such arrest. There are no special provisions in Ukrainian procedural legislation dealing with evidence in relation to maritime claims and, therefore, one needs to follow general rules on preservation of evidence. Such preservation is possible in cases when a dispute is considered or going to be considered by a Ukrainian court on its merits. The party to the case can apply to the court with a motion for securing evidence if such party has some difficulties with obtaining and submission of evidence. Also, the court may secure evidence before the claim is filed, subject to a motion of the interested person. However, in such case the claim should be filed within 5 (commercial procedure) or 10 (civil procedure) days running from the day when the court issued a securing ruling. According to art. 131 of the Code of Civil Procedure of Ukraine the parties shall submit their evidence (written or material evidence, witness statements, expert statements, etc.) or notify the court about it before or during the preliminary court session and if the preliminary court session is not held – before the court proceeds to try merits of the case. The evidence submitted in violation of the above requirements shall not be accepted if the party does not prove that the evidence failed to be submitted in time for valid reasons. However, it should be mentioned that in practice Ukrainian courts often accept evidence which was submitted outside the prescribed limits. The Code of Commercial Procedure of Ukraine is silent on terms of evidence disclosure. In practice, the parties may submit their evidence until the moment the judge retreats to a decision room for considering his judgment. The Court of Appeal (both in civil and commercial procedure) may accept new evidence if there are some reasonable excuses preventing the party from submitting such evidence in time. 6.1 Describe the typical procedure and time-scale applicable to maritime claims conducted through: i) national courts (including any specialised maritime or commercial courts); ii) arbitration (including specialist arbitral bodies); and iii) mediation / alternative dispute resolution. i) The Ukrainian court system does not include special courts dealing with maritime issues and in most cases maritime claims are considered by a civil or commercial court. – an action or event which gives rise to a claim took place in the territory of Ukraine. In most cases where both claimant(s) and defendant(s) are corporate entities, it is for the commercial court to try the case. However, if at least one party to the dispute is a natural person, the claim shall be considered by the civil court. If judicial documents need to be served abroad, Ukrainian courts usually use the procedure prescribed by the Convention on the Service Abroad of Judicial and Extrajudicial Documents in Civil or Commercial Matters 1969 (to which Ukraine is a party). Different procedure may be applied if judicial documents are to be served on persons residing in a State which has a relevant bilateral international agreement with Ukraine. However, if the State of service is not a party to the Hague Convention 1969 or any bilateral international agreement with Ukraine, documents shall be transmitted via the Ministry of Justice and Ministry of Foreign Affairs. A Ukrainian court shall dismiss a claim without consideration or close proceedings if parties to the dispute concluded an arbitration agreement. The similar consequences shall follow if the same dispute between the same parties has been already resolved by a tribunal body. As per the Codes of Commercial and Civil Procedure of Ukraine, the judge has to commence proceedings within a three-day term after receipt of a duly executed statement of action, and the court has to proclaim its decision on the case merits within 2 months’ time. In practice, while commercial courts usually meet these deadlines, parties to the dispute considered by civil courts can wait for a decision for 3-5 months. An appeal has to be considered by the court within 2 months after the appeal along with court records have reached the appeal court, and in practice the said time limit is normally observed by Ukrainian courts. The entire cassation procedure may take 3-4 months. Interests on the claim can be awarded upon demand of the interested party only if such interests are provided by law or agreement. For instance, when paying out on claims (demands) arising out of relations stipulated by MSC, the sum payable shall be charged with an annual interest within the limits of the average bank interest rate existing at the Creditor’s country of domicile. Interests shall be charged for the period beginning from the day of producing a written demand for payment until the day of actual payment. However, the above rules shall not be applicable to a claim for the vessel’s delay and dispatch, for losses incurred by non-delivery or late delivery of the vessel, non-supply or late supply of the cargo or for losses reimbursed following a procedure of general average distribution. ii) The parties are free to make an agreement to pass their dispute for consideration to International Commercial Arbitration. The main legislative act of Ukraine which governs activity of International Commercial Arbitration is the Law of Ukraine “On International Commercial Arbitration” dated 24 February 1994. Such arbitration can be set up specifically for a given case or administered by a permanent arbitral institution. In particular, any maritime claim may be referred to the Maritime Arbitration Commission at the Ukrainian Chamber of Commerce and Industry, which is active on permanent basis. The said arbitration carries out its functioning in conformity with the Statute and the Rules. On the website of The Maritime Arbitration Commission one may find a list of recommended arbitrators. iii) Ukrainian legislation hasn’t got any requirements and/or restrictions relating to mediation. 6.2 Highlight any notable pros and cons related to Ukraine that any potential party should bear in mind? Talking about advantages it is worth saying that Ukrainian court procedure is relatively inexpensive. The party who wins the case is entitled to reimbursement of suffered court expenses on account of the losing party. Such expenses include court fees, legal fees, travel costs, expenses incurred due to involvement of experts and witnesses, and other costs connected with the trial. It should be noted that the amount of reimbursement of such expenses is limited by relevant legislative acts. 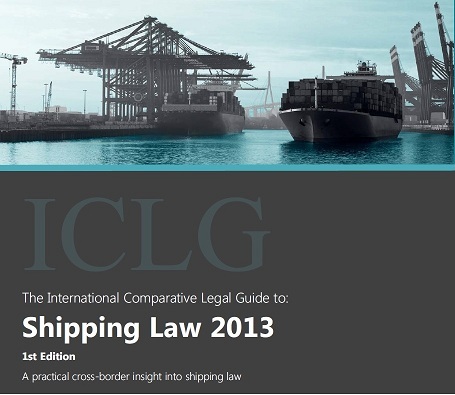 Insufficiency of specialists in the maritime law field, imperfection of maritime legislation and little court practice in wet and dry shipping law may be referred to as the main disadvantages. The question of recognition and enforcement of foreign judgments is mostly governed by the Code of Civil Procedure of Ukraine. A foreign judgment can be recognised and enforced in Ukraine (a) when such recognition and enforcement is foreseen by an international treaty to which Ukraine is a party, or (b) under the reciprocity principle which is presumed until contrary is proven. As to the international treaties, it should be said that Ukraine is not a party to the Convention on Jurisdiction and the Enforcement of Judgments in Civil and Commercial Matters (1968), however some bilateral international treaties made by Ukraine deal with issues of recognition and enforcement of judgments rendered by courts of a party State to such treaty. Application for enforcement of a foreign judgment should be submitted to the civil court of the first instance at the place of the defendant’s residence or registration of his property (if he has no place of residence in Ukraine or if such place is unknown) within a 3-year period starting from the date when such judgment came into legal force. – all documents are to be translated into Ukrainian language, unless otherwise prescribed by the international treaty to which Ukraine is a party. – in other cases foreseen by the laws of Ukraine. The court ruling given as a result of consideration of the application for enforcement of a foreign judgment (either positive or negative) can be appealed. If the court satisfies the application, a further enforcement procedure is to be performed by the State Executive Service. – the subject matter of the difference is not capable of settlement by arbitration under the law of that country. We are positive that better days for the maritime law sphere in Ukraine are still to come. There is much to do both in theoretical and practical ways to improve the current situation and existing imperfections of fundamental maritime legislation. We do hope that mutual efforts of practising Ukrainian maritime lawyers in the near future will result in the unified court practice on dry and wet shipping issues.